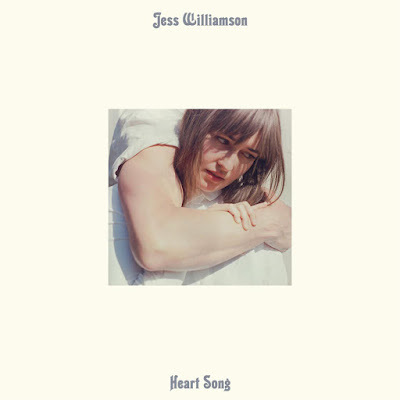 Jess Williamson's Heart Song takes time to build and break over you. I first fell in love with Jess Williamson while listening to “Blood Song” off her 2014 album, Native State, a serious track encouraging escaping onto the open road for a hopefully better tomorrow. The Austin-ite’s dark and twangy Western-inspired songs continue on her latest release, Heart Song; the perfect companion to the lengthening evenings that come with the season. Each of the songs clock in at nearly four minutes or longer, offering a nice change of pace from fast and furious punk songs. These songs take the time to meander, build, and break over you, leaving plenty of space between the guitar strumming to fill with your own hope and heartache. The album was recorded straight to tape, with some of it taking place in Williamson’s own home. Additionally, she released the record (as well as Native State) on her own imprint, Brutal Honest. Her self-sufficient recording process conjures up images of strong-willed prairie woman, which Williamson absolutely is. Her songs recall a feminine independence, with her eyes toward the open landscape, and the ability to survive whatever life throws her way. Opening Heart Song is “Say It,” a mellow and expansive track calling to mind a rainstorm in the desert; a sort of rare and disruptive event. It's followed by “White Bed,” a quiet song lulling you into a trance with the sparse arrangement layered with Williamson’s confident voice. The title track jump starts with the vocals coming in a beat before the music, lamenting something she thought she could change and couldn’t. There's an ominous exchange between crashing cymbals and her wail filling the middle of the song, and ending in an unsettling unraveling of beats. The longest track on the album, “Last Word,” is the warm and hopeful penultimate track. It features sparse instruments and ample space between words, coming together in the end to leave you buzzing. “Devil’s Girl” brings the masterpiece to a close, with just stripped down guitar and vocals. Williamson sings about “strangers with stakes in the same crisis,” reminding us that we’re all in this together. The album as a whole is reflective without wallowing, and at times uplifting without preaching. Albums are often paired with seasons or weather, and this one is for listening as the sun is setting, regardless of the time of year. The desert landscapes that inspired her work don't directly translate into making this strictly a warm weather listen. It’s perfect for falling temperatures, purple skies, and twinkling stars. Listen to Jess Williamson on bandcamp.